Publisher: Yale University Press 2010, 192 pages. Anne Boleyn has always been my favorite wife of Henry VIII's, ever since I was a child. I've read almost every major biography of her, including Antonia Fraser, Carolly Erickson, Joanna Denny, Eric Ives, and more recently Alison Weir. 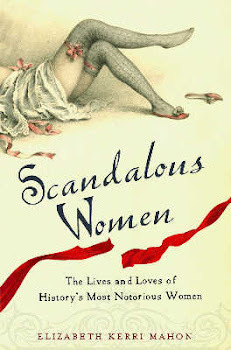 When my editor suggested that I write a chapter on Anne Boleyn for SCANDALOUS WOMEN, I jumped at the chance to do even more research. 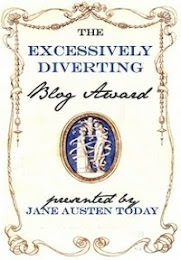 As readers of this blog know, I even went on the first ever Anne Boleyn experience this summer. In other words, I'm biased! So it was with great trepidation that I picked up a copy of G.W. Bernard's book, but I felt that even though I am not a historian, I should read both sides of the argument. ANNE BOLEYN FATAL ATTRACTIONS is a particularly frustrating book. It reads more like a graduate thesis or a dissertation. I found it difficult at times to get at what he was trying to say, to the point that I felt like throwing the book across the room in frustration. G.W. Bernard has mad credentials, the author teaches early modern history at the University of Southampton iin England, and he's the author of several books. In the inside of the front cover it reads, "In this groundbreaking new biography G.W. Bernard offers a fresh portrait of one of England's most captivating queens." I don't know about groundbreaking. Bernard writes in the afterward that he had no axe to grind, that he wanted to reclaim the historical Anne. Well, after reading his book, I found her more elusive than ever. Bernard spends a great deal of time going through sixteenth century documents with a fine tooth comb, but I question some of the conclusions that he came too. For instance, he asserts that it was Henry who refused Anne Boleyn's advances during those seven long years until they were able to marry. While I can certainly undetstand that after Henry had decided on a course of marriage, he would want to hold off, I have a hard time seeing Anne Boleyn throwing herself at him constantly during these years. He also asserts that Anne was not holding out for marriage. Than what was she holding out for? I don't believe that Henry telling her that she would be his sole mistress would be enough of an incentive for her to give up her virginity, particularly after he had already slept with her sister. Bernard writes that if Anne had said no, than Henry could just have forced her. After all he was over six feet tall, and weighed over 200 pounds. Again, I have a hard time believing that Henry would go around forcing himself on women. Henry was wildly, passionately in love with Anne. Also her turning him down would have been something unusual for him, the man who could have anything he wanted. It's not hard to believe that her decision to stand firm intrigued him more and led to his marriage proposal. He was looking for away out of his marriage to Catherine even before Anne. Why not be like his grandfather and marry a girl of good English stock? Bernard also asserts that Anne was not an Evangelical, nor did she help Henry during the years of 'The Great Matter' by giving him books that might be useful. He stops short of suggesting that Anne, like her sister Mary, fully partook of the looser morals of the French court. He also completely dimisses any theory that there was any conspiracy against Anne, either by the pro-Rome faction at court or by Cromwell. Interestingly he has nothing to say in his book about Anne's relationship with Elizabeth. Most biographies assert that Anne was a devoted mother to her daughter, that she kept in constant contact with the head of Elizabeth's household. 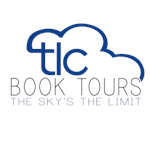 When it gets down to the nitty gritty, the brass tacks, the reason for buying the book, it falls short. 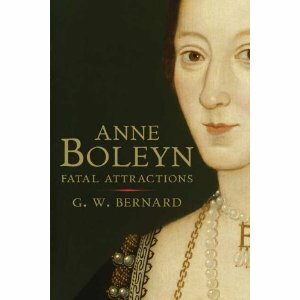 For a book called ANNE BOLEYN, FATAL ATTRACTIONS, Bernard shows no new evidence that Anne Boleyn committed adultery. On the contrary, the most that can remotely be concluded is that towards the end of her reign, Anne began to flirt more than was considered proper and she was indiscreet, particularly in regards to whether or not Henry was impotent. Hardly adultery, and hardly worthy of death by execution. At one point, Bernard talks about how the Spanish Ambassador Eustace Chapuys wrote about Anne and her brother George making fun of the King's clothes, that Anne was bored with the King. He writes "If that were true, then it would supplay a context in which committing adultery was thinkable, bu it hardly amounts to proof." Now I'm not quite sure whether he mans that it supplies a context for Anne committing adultery in general or with her brother. If it is the latter, that's a pretty big leap. He writes that because Thomas Wyatt who was also arrested, was released, than that means that Anne might have committed adultery with the other men. Only Mark Smeaton ever confession, although again Bernard doesn't believe that he was tortured, since none of the other men accused and executed were tortured, although they were high born and Smeaton as not. They only needed one person to admit guilt to push through the trial and execution. Bernard does admit that Anne's execution for adultery was a miscarriage of justice. Verdict: While Bernard does present some interesting arguments, this book is clearly for those who either have not made up their mind about Anne, believe her guilty, or serious Tudor historians. An honest review, thank you. I've always been interested in Anne Boleyn but haven't got around to reading any of the multitude of books on her. They all seem a bit daunting and possibly a bit contradictory. However, if I do read this one it'll be towards the end of my quest for knowledge! As an historian, and a specialist of Tudor Queens, and a GREAT fan of Anne Boleyn, I can say that the best book about Anne, is the one of Eric Ives. He spent many times to do researches and give explanations for almost all Anne Boleyn's mysteries. Your review is really good, honest as CharmedLassie said. I think G.W Bernard was the last historian to have a controversial look upon Anne Boleyn. But Then, I agree with you: she (and Elizabeth) are the two most interesting and impressive queens of England. 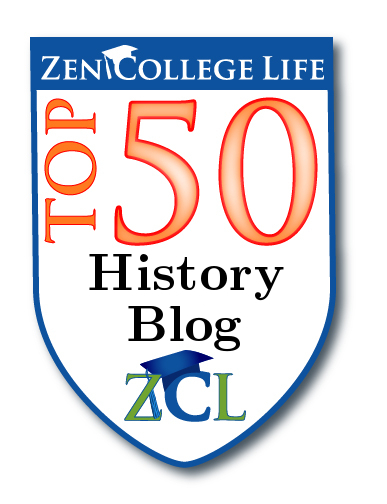 I have read Eric Ives, and I think that most historians owe a debt of gratitude towards him for all his research. In fact Eric Ives is one of the three books that G.W. Bernard has listed in his bibliography, along with Reitha Warnicke, and David Starkey. Reitha Warnicke is a bit controversional, and I'm not convinced with all her theory, I'd rather like Starkey and Ives (as an historian! ).